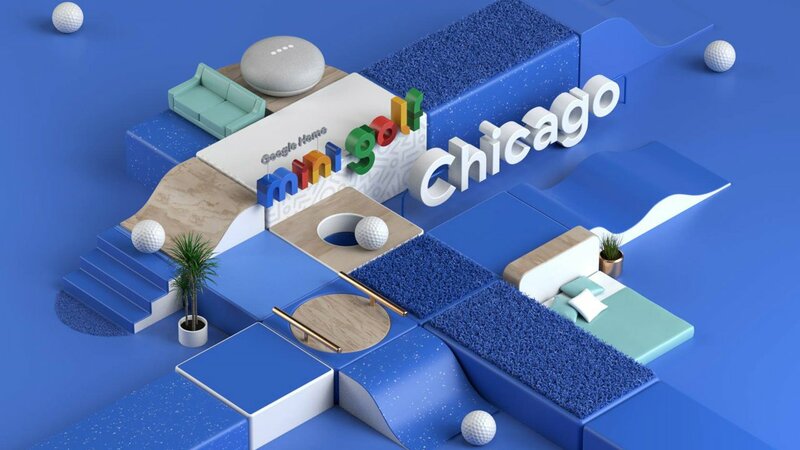 CHICAGO (WLS) -- Google has built a mini golf course in Chicago's Loop and it opens Thursday. The course, which is located at 35 N. State St. in the former site of a Gap store, will be open 11 a.m. to 10 p.m. Thursday through Sunday. Everyone gets a pair of golf socks and a chance to win a Google Home Mini or Max. Visitors will also get information about how to use these devices to turn on "your favorite TV show, start a dance party, and turn on the lights - all using your voice," according to a press release. The Google mini golf course has already made a stop in New York and will be in Los Angeles and Atlanta later this summer.